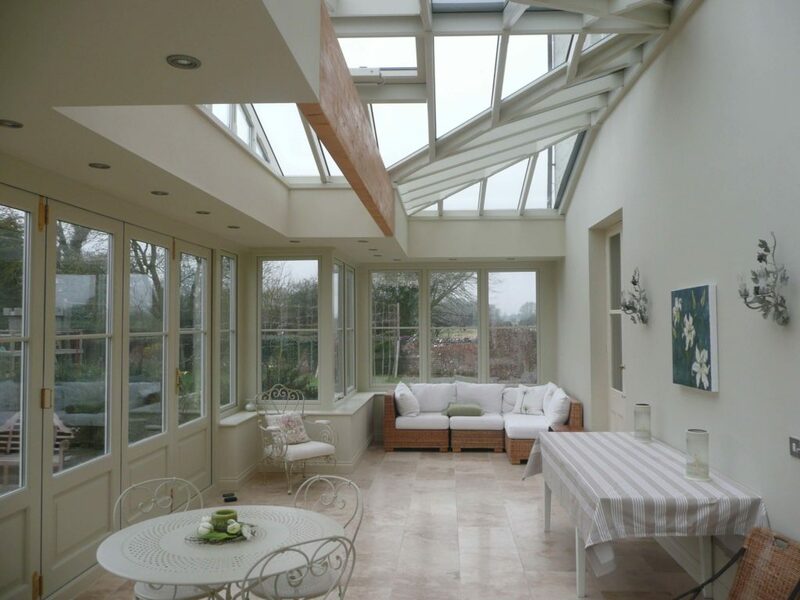 With a stunning architectural roof lantern, you can give any room, orangery or conservatory a makeover with an addition that provides plenty of natural light and creates space. 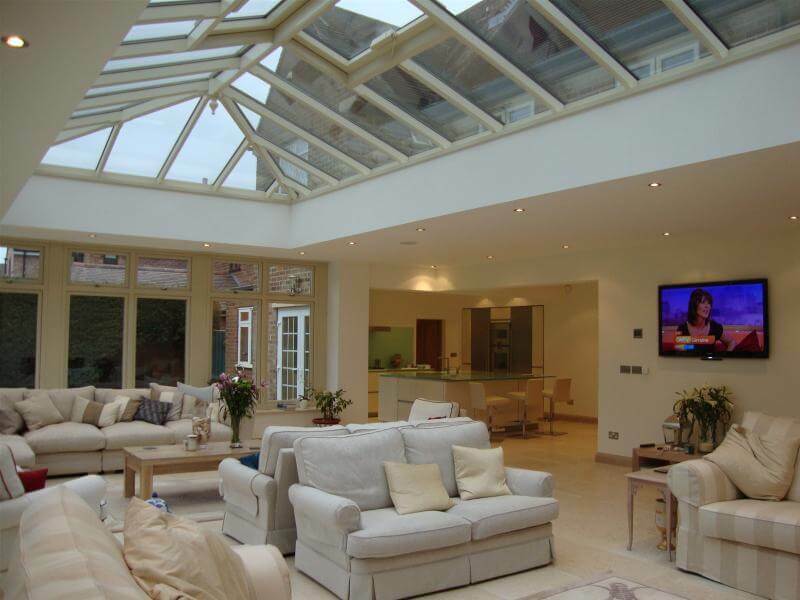 At Roof Lanterns UK, we are able to create designs that are visually stunning; these architectural, stylish constructions are not only ideal for creating the perfecting finishing touch aesthetically, but they also let in plenty of natural light to brighten up your living space. 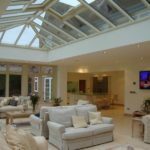 Drawing upon years of experience creating roof lanterns for kitchens, orangeries, conservatories and extensions, we are able to help you create a custom piece that accentuates your home and makes the room feel larger and instantly brighter. 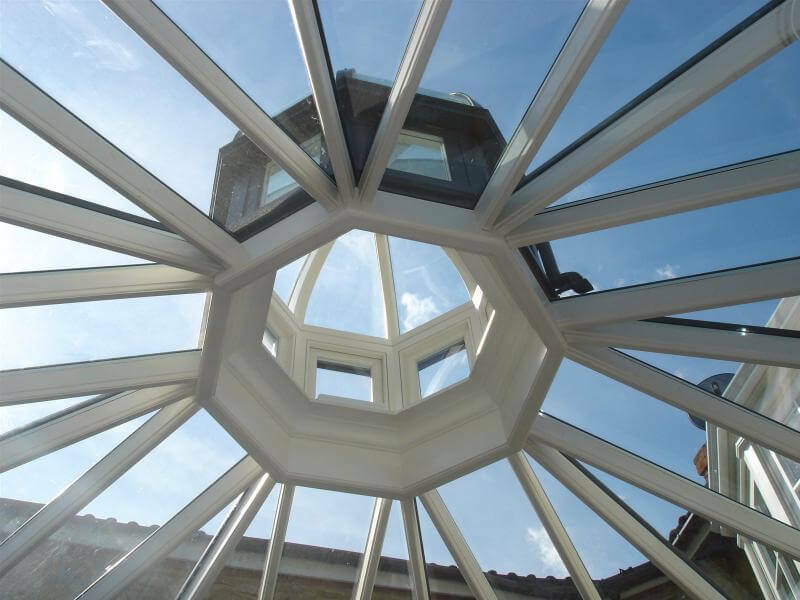 Add a stunning architectural statement to your designs by incorporating a Prestige roof lantern, bringing light and space to your room. 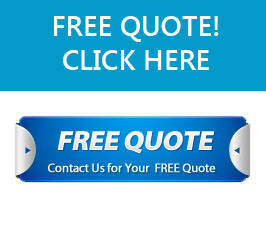 We can provide full CAD drawings for any design which can be then be included alongside your own planning application. 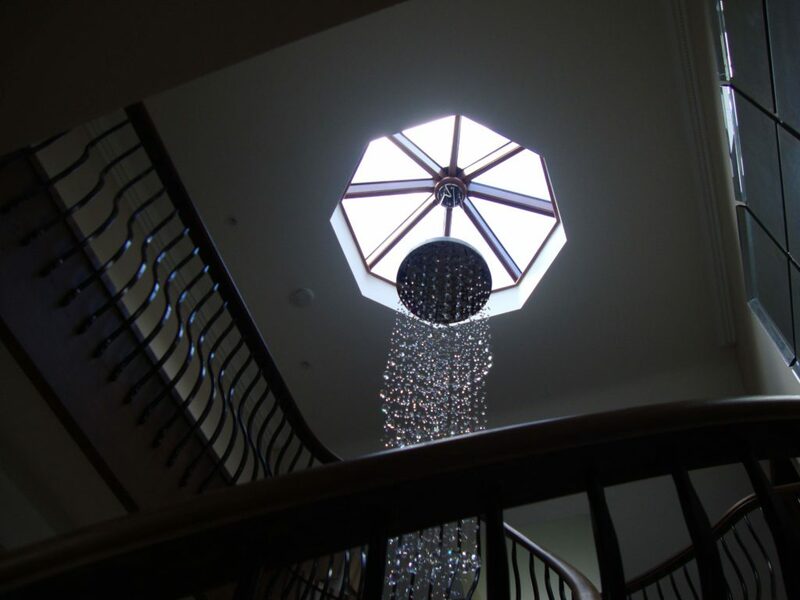 Our design and manufacturing processes allow us to tackle all kinds of design challenges including providing Edwardian, Victorian, hexagonal, circular, curved, L-shaped, T-shaped, X-shaped and any other style or shape of roof or building. Our roofs can also incorporate side windows (sometimes called clerestory windows) and true lantern style roofs where vertical windows form a raised section on top of the main pitched part of a roof. 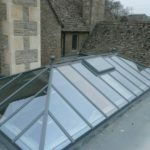 Our lanterns can also incorporate opening roof vents or trickle vents which can both help to keep rooms cool in the summer and help to meet the ventilation requirements for building regulations. 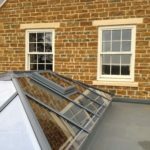 All our roofs use argon-filled low-emissivity 28mm (4-20-4) double-glazed units as standard which give an impressive centre-pane U-value of 1.1W/mÂ²K. 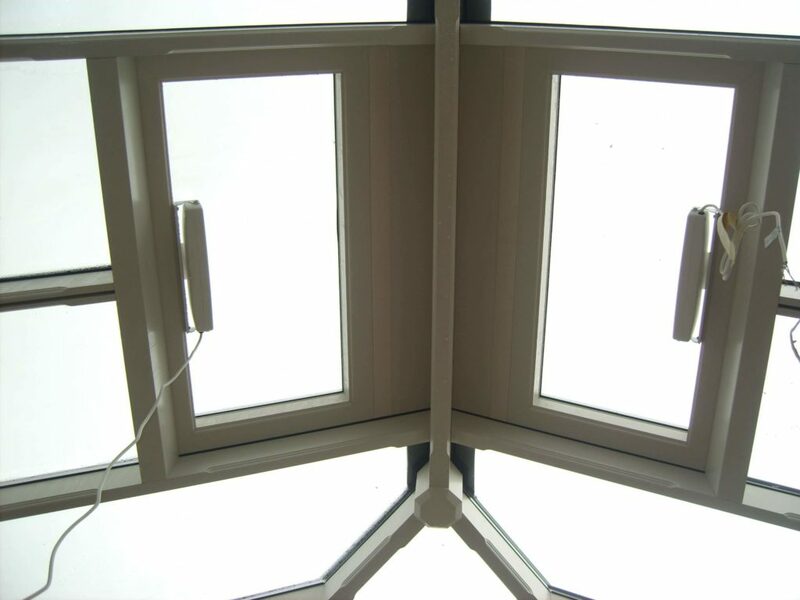 Optionally we can also produce triple-glazed timber roof lanterns for even better thermal performance, for improved energy-efficiency and sustainability. There are a number of aesthetic options available for our roofs, including the type of mouldings used, external finials and crestings, internal boss pendants and light fixing plates. We can also paint the lanterns in literally any colour including RAL, BS or Farrow & Ball colour codes or custom colour matches, and with the option of different colours on the inside and outside of the roof. There is also a range of translucent stains available to give a natural timber finish with visible wood grain. We work closely with a number of architects around the country using our extensive knowledge and experience in the field to ensure they can turn the dream into a reality for their clients. 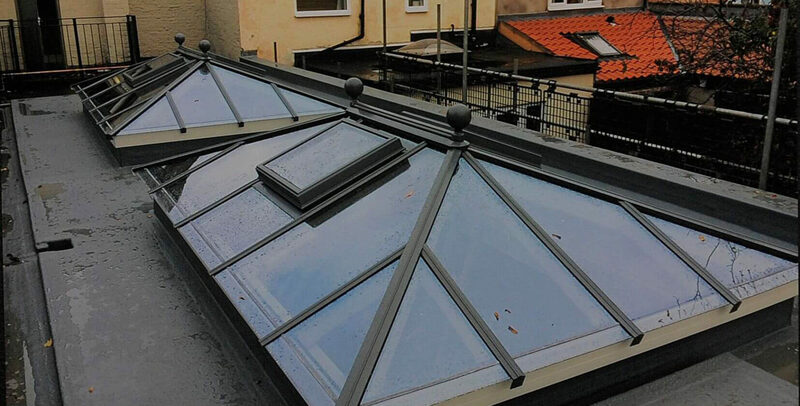 Through communication and team work we can do the same for you and ensure that every roof lantern befits the style of the property concerned. 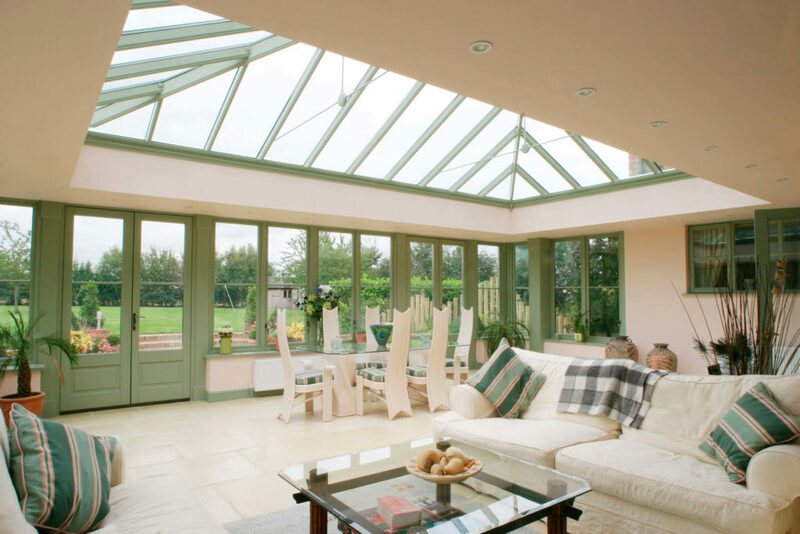 Our parent company Country Hardwood Conservatories also manufacture windows, doors (including bifolding doors), conservatories and orangeries, so we have the necessary expertise to ensure that our roof lanterns work within any kind of structure. 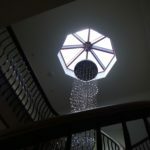 Why choose an architectural lantern? 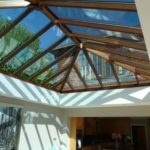 Many people use the terms roof lantern and glass skylight interchangeably, although this isn’t quite technically correct. 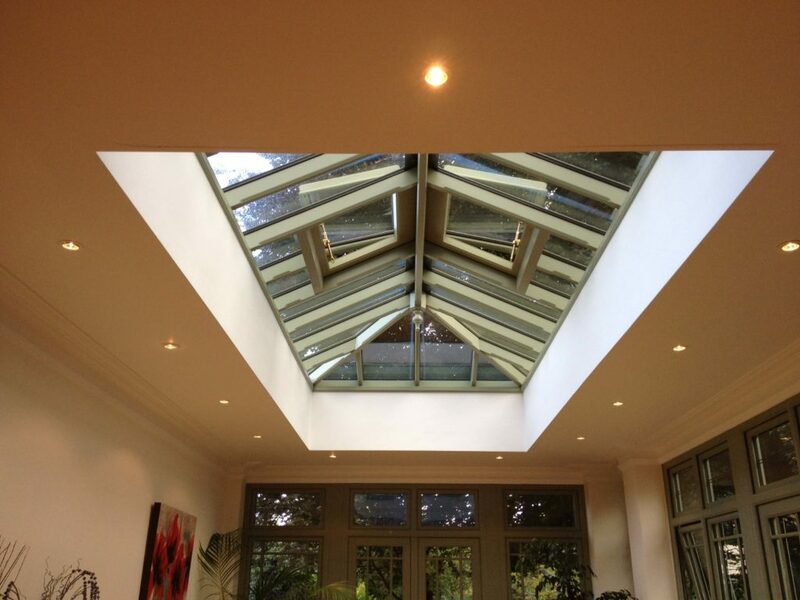 Unlike a skylight, a roof lantern is raised, functioning as an architecturally separate part of the main roof. 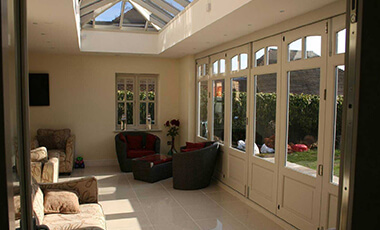 A skylight, in comparison, is often a window inserted into the ceiling to allow in light. 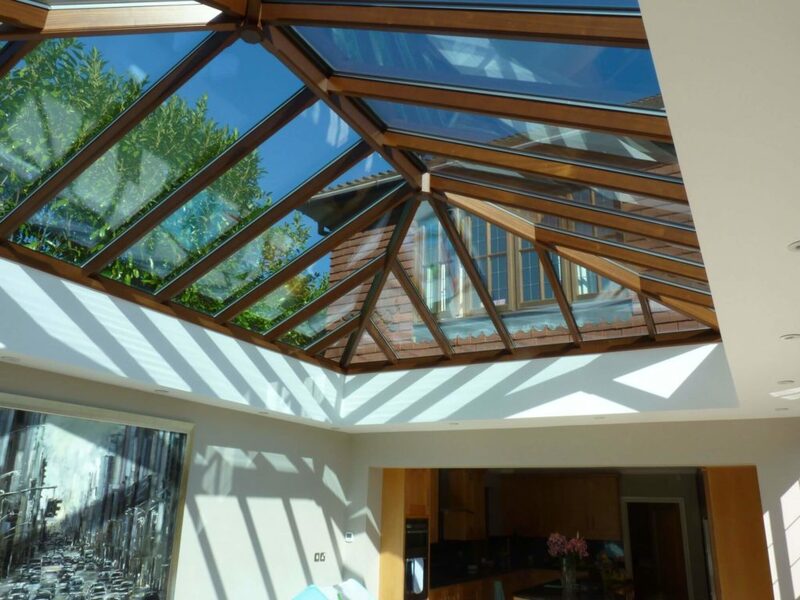 The structure of a roof lantern, including supporting panels and numerous glass panes are designed to be raised to let in much more natural sunlight, which can create an inviting ambience in just about any space. 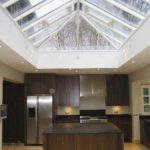 Whether you are looking for a roof lantern in a kitchen extension, conservatory or even a home office, the amount of light afforded by this design is considerably more than a skylight. They also act as a stylish centrepiece to the room in question, and can be custom finished in any design or colour combination you’d like. What size lantern do I need? 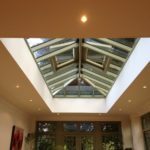 This will depend on the size and shape of the room, as ideally an architectural roof lantern should complement the space rather than dominate it. 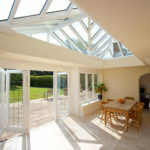 You should also consider things such as whether or not the height you have chosen will have any impact on the need for building regulations, as well as how much light you would like to allow in. 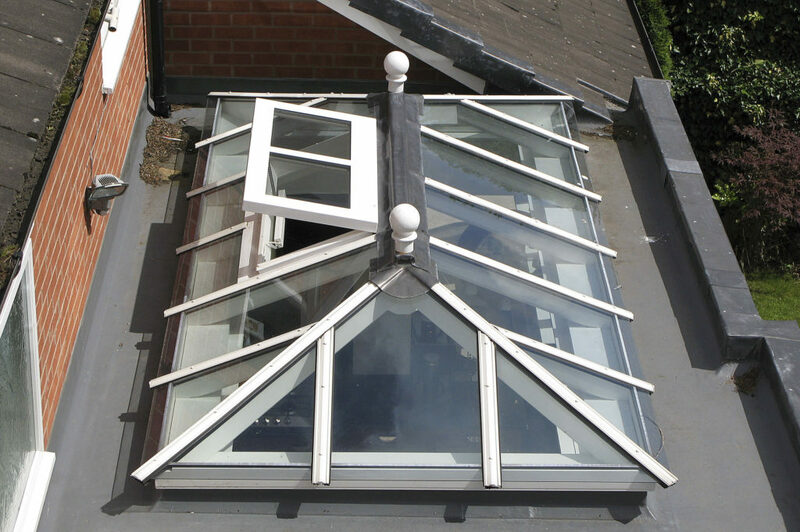 There should be enough room around the supporting structure of the roof lantern to allow for general maintenance and cleaning. 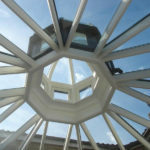 If you are unsure about the right roof lantern size for your installation, speak to one of our experts, who will be more than happy to assist you with a quote. 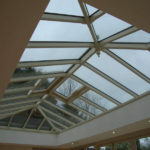 Why choose Roof Lanterns UK? 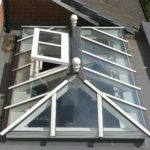 At Roof Lanterns UK, we can create custom roof lanterns to fit both traditional and contemporary properties. 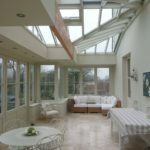 Our design and manufacturing processes allow us to tackle all kinds of design challenges including providing Edwardian, Victorian, hexagonal, circular, curved, L-shaped, T-shaped, X-shaped and any other style or shape of roof or building. Our roofs can also incorporate side windows (sometimes called clerestory windows), and true lantern style roofs where vertical windows form a raised section on top of the main pitched part of a roof. 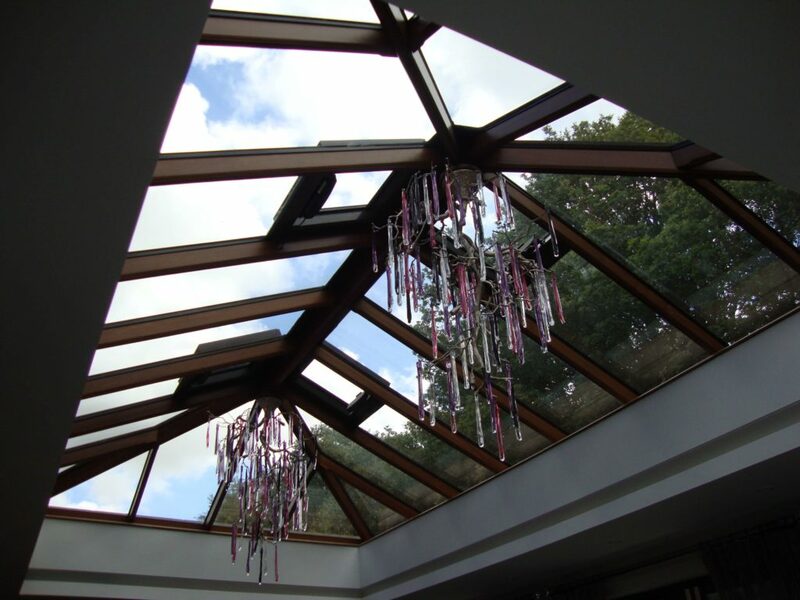 Our lanterns can also incorporate opening roof vents or trickle vents which can both help to keep rooms cool in the summer and help to meet the ventilation requirements for building regulations. 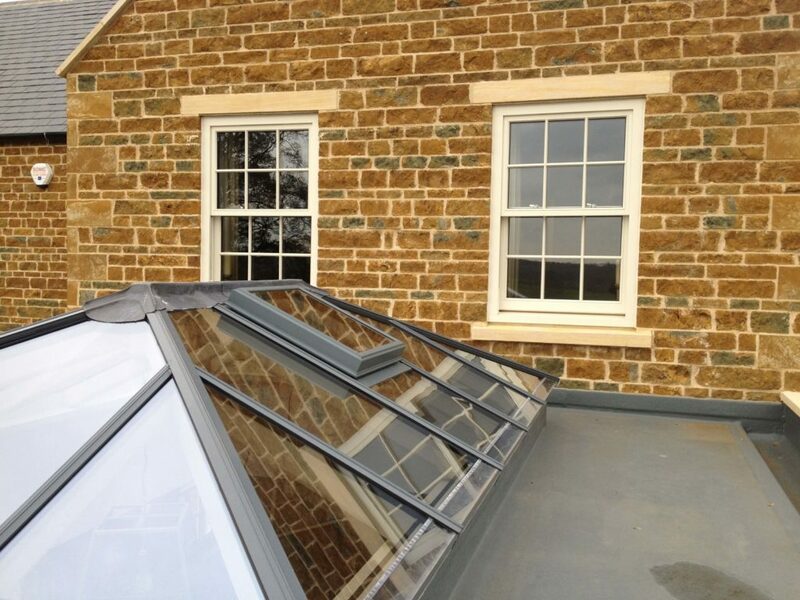 All our roofs use argon-filled, low-emissivity 28mm (4-20-4) double-glazed units as standard which give an impressive centre-pane U-value of 1.1W/mÂ²K. 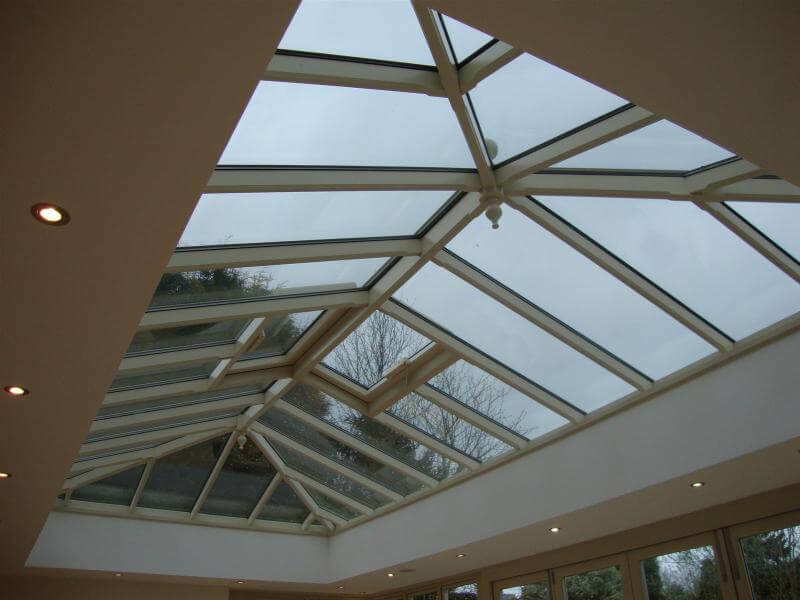 There is also the option to request triple-glazed timber roof lanterns for even better thermal performance along with improved energy-efficiency and sustainability. 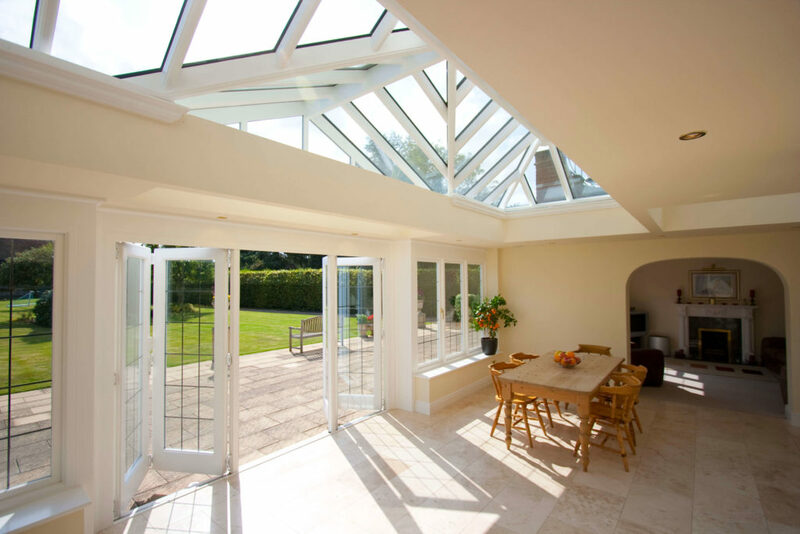 At Roof Lanterns UK, we work closely with a number of architects around the country, and use this network alongside our extensive knowledge and experience in the field to ensure they can turn a client’s dream into reality. 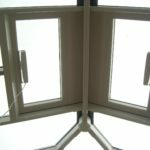 There are a number of aesthetic options available for our roofs, which can ve achieved depending on the different type of mouldings used, external finials and crestings, internal boss pendants and light fixing plates. 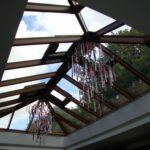 We can also paint the lanterns in literally any colour including RAL, BS or Farrow & Ball colour codes or custom colour matches, and with the option of different colours on the inside and outside of the roof. 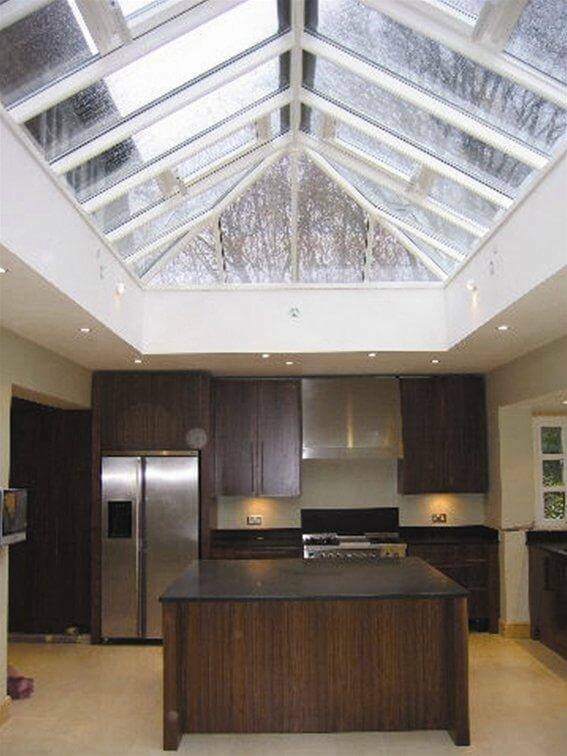 There is also a range of translucent stains available to give a natural timber finish with visible wood grain. 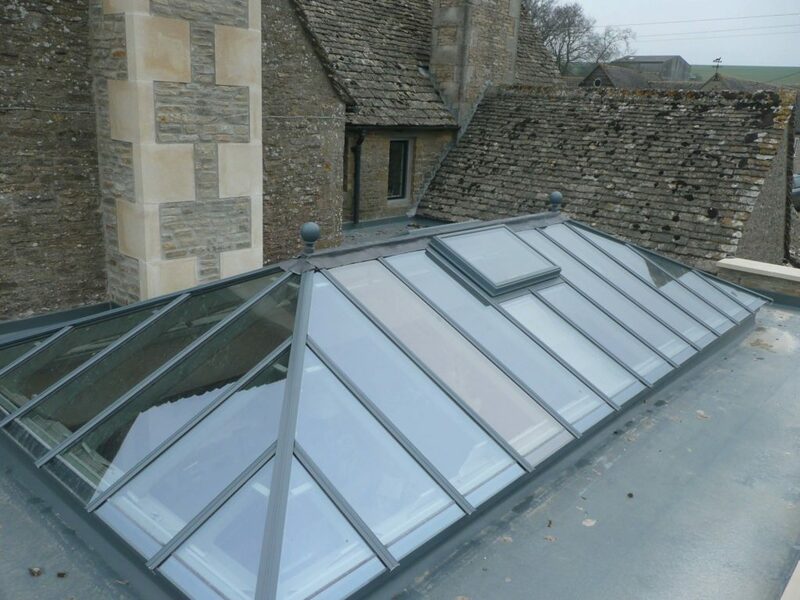 Through communication and teamwork, we can ensure that every roof lantern befits the style of the property concerned. 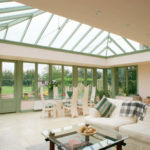 Our parent company Country Hardwood Conservatories also manufactures windows, doors (including bifolding doors), conservatories and orangeries, so we have the necessary expertise to ensure that our roof lanterns work within any kind of structure. Please contact us for a chat if you would like to find out more about what we can offer in the way of individual bespoke designs.